The muscularis externa is very well developed and can be divided in an inner circular layer and an outer longitudinal layer, separated by a thin band of connective tissue. A nerve plexus is present in this connective tissue. 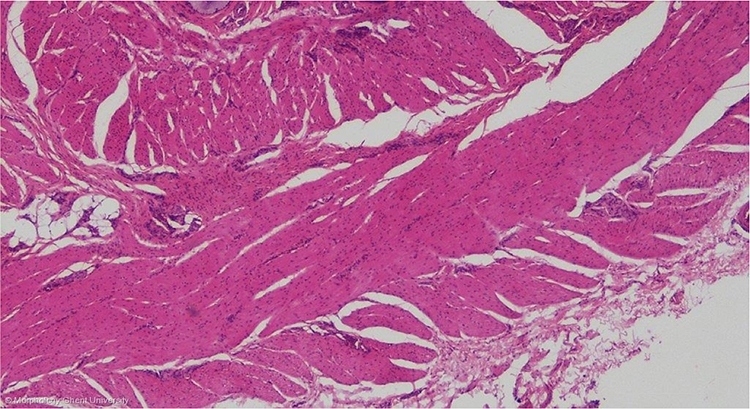 The external tissue layer, the tunica adventitia is a layer of loose connective tissue in which run blood vessels and nerves.